Unfortunately, this product cannot be purchased through the EziDebit Payment Plan - It is best to use a Credit Card. The Small Dog Training Collar for Hire can be rented for 2 weeks so you can try before you buy. If you like it, you can decide to keep it and just pay for the balance. No Risk and No interest. Your Rental Fee and your Deposit is used towards the price if you decide to keep the Dog Training Collar – it costs no more to try it first. Did you always want to walk with your dog harmoniously but always fail to do so? Training your dog is not just stressful but is also time-consuming. It takes so much effort and dedication to fully get rid of your dog’s unacceptable behavior. What if I tell you, there’s a solution to your problem – not just any solution but a CHEAPER solution. Start your 2- week Dog Training Collar Rental today! We give you 17 Days rent-trial instead of the usual 14 days. This allows enough time for shipping and training the dog to stop barking. We Deduct 2 weeks Rent and the Deposit. You just pay the balance owing. from the price of the new product. 100 meter control range, suitable range especially when used during a walk to the park. If you want to purchase a Dog Training Collar - Click... here. Why Hire a Dog Training Collar For Your Small Dogs? Say goodbye to stress and say hello to a better behaved dog. When you rent a dog training collar, not only will your dog behave the way you want them to but you will also save more money. That’s right. It’s like hitting two birds with one stone! Not only that, if you wish to keep the training collar you can do so by paying for an agreed amount. You don’t like ‘em? Send them back and have your deposit refunded – it’s that convenient! How Does The Dog Training Collar Work? The power is all in your hands! With just a push of a button, your dog will receive a very safe and at the same time annoying static stimulation. In time, your dog will be able to recognize that he/she is doing something that you don’t like. They’ll learn to associate that the static stimulation is due to their unacceptable behavior. Click here to know more about renting dog training collars. The remote training collar has a weather-resistant transmitter and waterproof training collar. There is no need to worry that the device will be affected by rain water. It has coverage of up to 90 metres and 10 levels of stimulation so you can determine the appropriate level for your pet. It has a tone-only warning button and three year manufacturer warranty. Dog training collar hire is the most convenient and efficient way to start training your stubborn dog. You don’t have to worry anymore about taking your furry friend for a walk. You also need not to worry about breaking the bank with unworthy purchases. You can now enjoy your walk in the park, spend a remarkable time with your dog, and most importantly, save more money and precious time. All this thanks to Dog training collar hire. So, what are you waiting for? 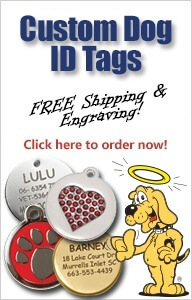 Get your dog training collar rental today! Choose your strap size and indicate your other preferences and proceed to checkout by clicking add to cart! 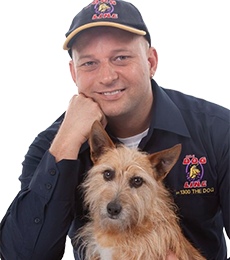 The dog training kit is delivered to your door with full dog training guide and instruction guide and our 7 day help line for support. 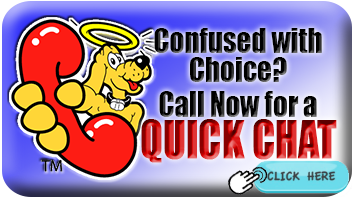 Call now or go to check-out. "What a great option, hire costs no more! You may need longer than 2 weeks to change a habit, but if you hire a dog training collar for small dogs - you can see how effective it is. I used this on my toy poodle when he was about to run across busy roads - It gave him the freedom in the park but if he was being cheeky... i could let him know I was still in control. Winner!"